On Monday (15 September), the Brazilian media outlet UOL Notícias published an investigative report by Leandro Prazeres that revealed how Brazil has subsidized the production of cluster munitions by granting the company Avribrás special tax incentives since November 2013. The report claims that the government is expected to provide a subsidy totaling BRL60 million (US$25 million) in 2014 to Avribrás, according to figures attributed to the Brazilian Federal Revenue Service. The weapon produced by Avribrás is a truck-mounted multi-barrel rocket launcher system called ASTROS II. As detailed in the UOL Notícias report, the ASTROS II has two types of rockets that deliver 150-kilogram warheads each containing 70 submunitions: the SS-60 and SS-80 with a range of up to 60 km and 80 km, respectively. ASTROS rockets can also be equipped with a unitary high explosive warhead. As detailed in the Cluster Munition Monitor country profile for Brazil, the ASTROS II rocket system has been exported to Iran, Iraq, Saudi Arabia, and most recently Malaysia. 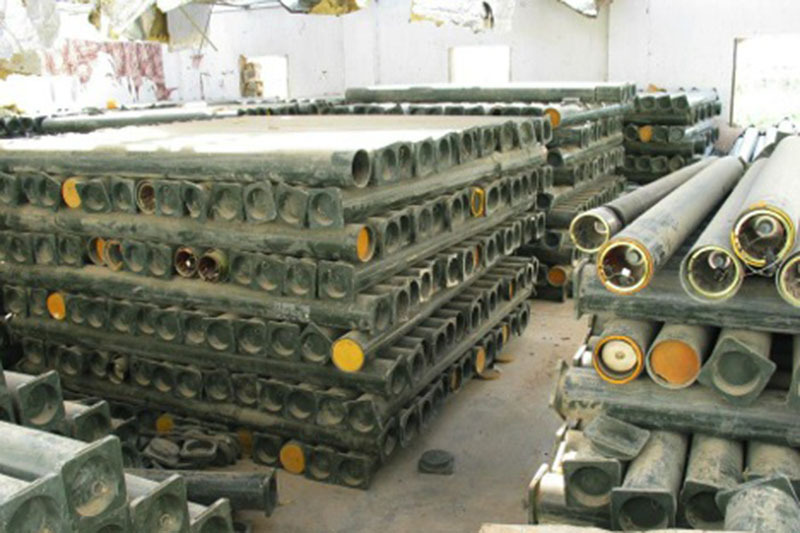 In May 2010, José de Sá Carvalho, Jr, a commercial director for Avribrás informed a hearing by the Committee on Foreign Affairs and National Defense of the Chamber of Deputies that the company generates US$60–70 million per year from sales of cluster munitions. He also claimed that cluster munitions produced by Avribrás have a failure rate of less than 1%. ASTROS II cluster munition rockets were used by Saudi Arabian forces against Iraqi forces during the battle of Khafji in January 1991, and according to former explosive ordnance disposal personnel from a western commercial clearance firm and a Saudi military officer a significant number of unexploded submunitions resulted from this use of ASTROS rockets. There is no question that the SS-60 or SS-80 rocket launched by an ASTROS II system equipped with a warhead containing submunitions is banned by the 2008 Convention on Cluster Munitions, but the company’s website makes no mention of the submunition warhead. An Avribrás representative claimed in the UOL Notícias report that the ASTROS II system “100% meets UN standards” but does not explain how that is possible, or indicate what standards he means. The Convention on Cluster Munitions defines a cluster munition as “a conventional munition that is designed to disperse or release explosive submunitions each weighing less than 20 kilograms, and includes those explosive submunitions.” It also lists five characteristics that must all be met for a munition not to be considered a cluster munition: it must carry fewer than 10 submunitions and each submunition must weigh four kilograms or more, must detect/engage a single target object, and must have an electronic self-destruct and an electronic self-deactivating feature. 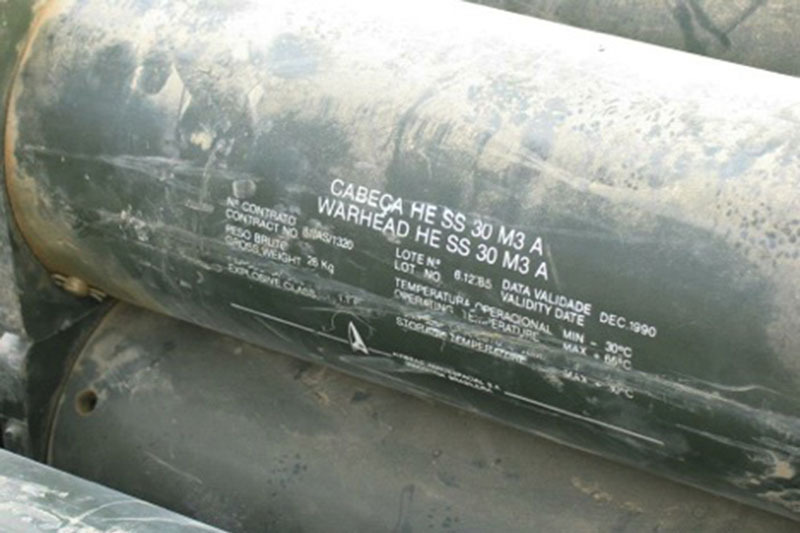 The submunitions contained in the Brazilian weapon apparently only meets one of the five required characteristics: it has a self-destruct mechanism but it is not known if this is an electronic system. Each warhead has 70 submunitions, each of which weighs less than two kilograms, it cannot engage a single target, and it does not have an electronic self-deactivating feature. Thus, the ASTROS II rocket with submunitions is prohibited by the Convention on Cluster Munitions. Earlier this month, representatives from some 100 states gathered in San Jose, Costa Rica for a major meeting of the Convention on Cluster Munitions, where they condemned the use of cluster munitions in Syria, Ukraine, and South Sudan and provided updates on the destruction of more than one million stockpiled cluster munitions and millions of submunitions. Brazil declined to attend the meeting, which was attended by observer states including China. Apparently it was too busy subsidizing the continued production of a banned weapon. ← Stop targeting deminers: they save innocent lives!